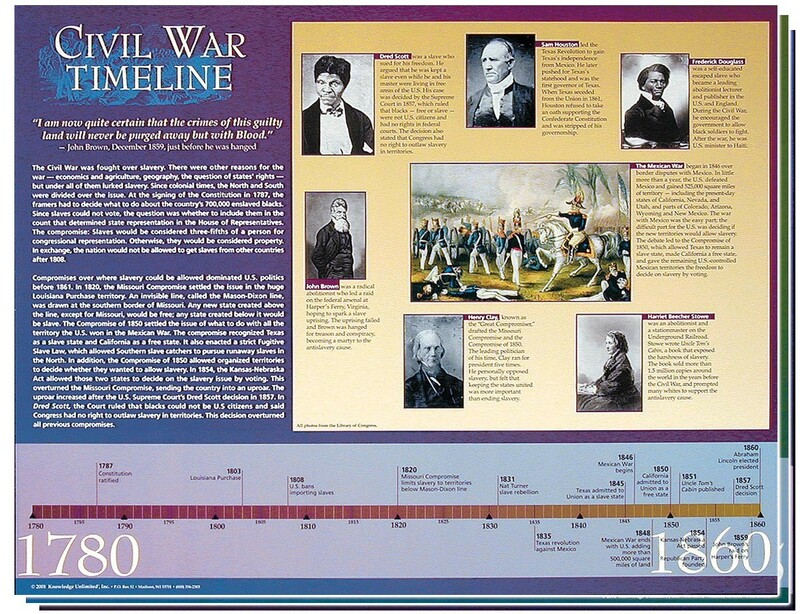 This exceptional poster set graphically illustrates the conflicts in the United States over the slavery question from 1787 through the end of Reconstruction in 1877. Each poster contains explanatory text and numerous photographs and illustrations. 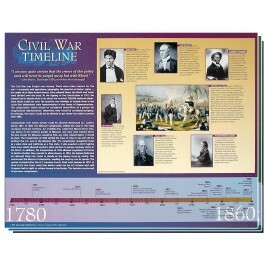 The three posters line up at the bottom to create a Civil War timeline.